It is now time to get rid of the reductionist views on young people’s political disengagement in European elections. There is evidence that the younger generation is actively and politically involved and König Souvenir brilliantly proves it. The Berlin initiative developed by the König Galerie, an art exhibition space led by young guys and mostly displaying emerging artists created a classic cotton azure EUNIFY hoodie with a circle of gold stars on the front of it. 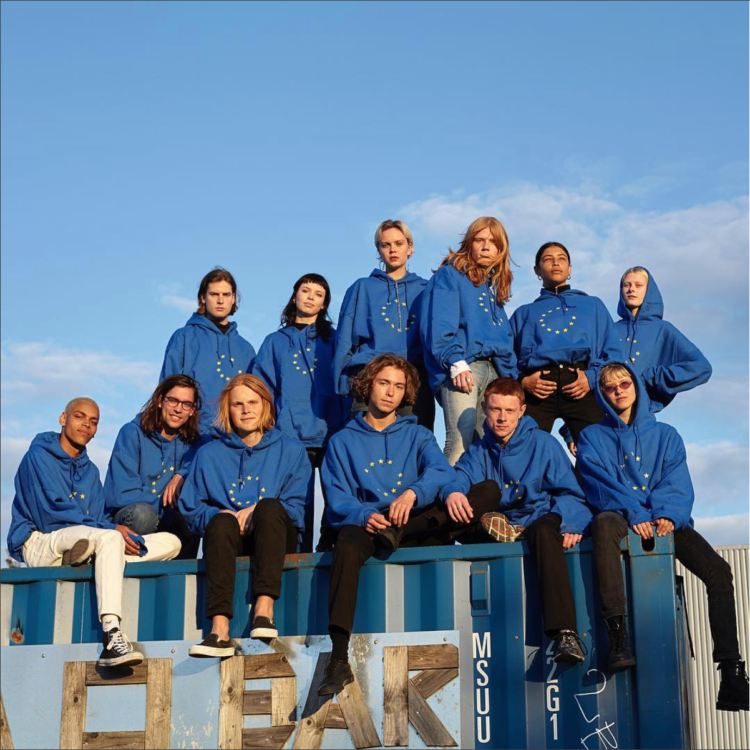 The EUNIFY hoodie is a call for cohesion and solidarity among young European citizens all around the world and it has a lot to say about today’s Europe. The circle of stars, which stands for the identity and unity of Europe, has been broken since one of the stars has got lost at the back of the hoodie. The lonely star is a reference to the exit of the UK after the referendum results in June 2016. The back also features the telephone number of the EU hotline (free of charge) in order to remember how crucial democratic education is. 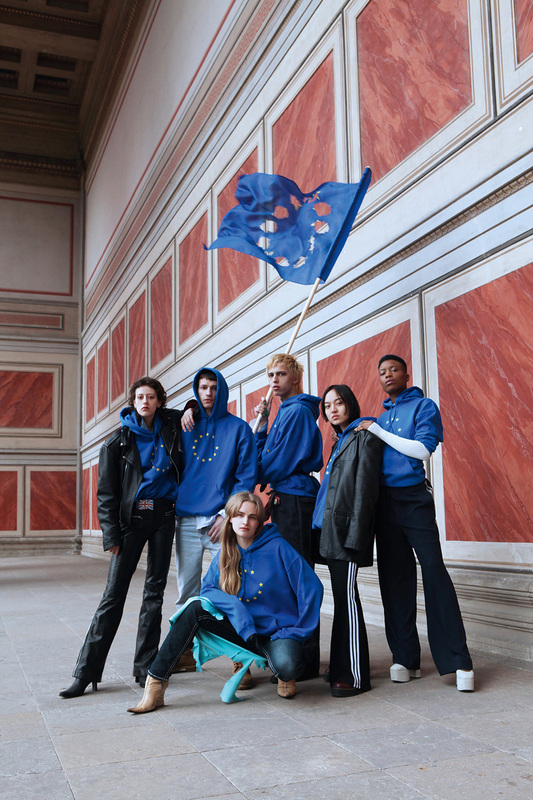 Through their hoodie, König Souvenir is reinventing a political activism to give voice to young people about European Union issues and encourage them to not let their future in the hands of people they will never meet. This concept was launched on the 25th of May 2017, the date that marked the 60th anniversary of the Treaty of Rome agreement that gave birth to the European Union, at St Agnes in Berlin. The panel discussion welcomed europhile artists like Wolfgang Tillmans who highlighted the risks of an exit from the EU. Even if the hoodie did not prevent the UK from leaving the EU, it remains a countermovement against far-right ideas for 2017 French presidential and German federal elections.